Joy Field: Sign Up to Receive My Monthly Prayer Updates! 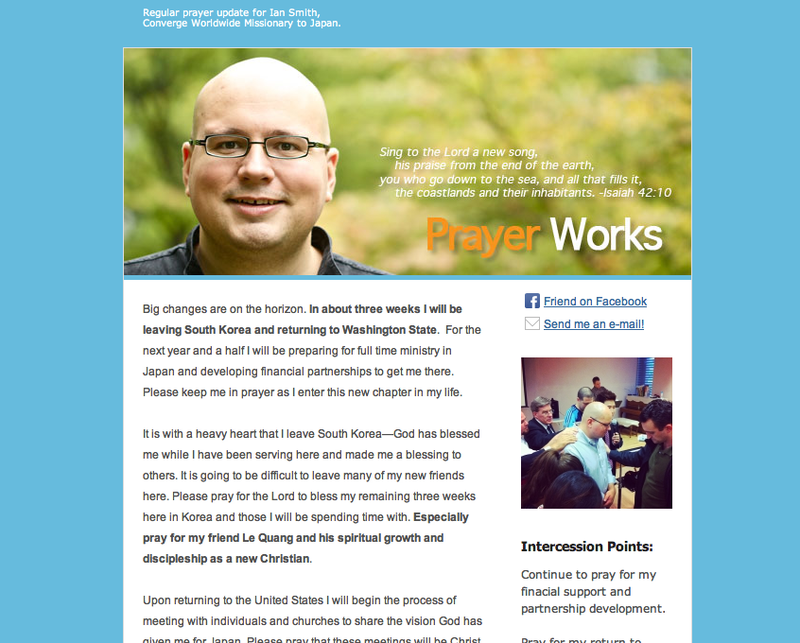 Sign Up to Receive My Monthly Prayer Updates! A few days ago I added a new feature to the blog that I wanted to point out. 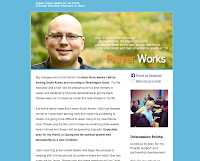 In the top right hand corner of the website you'll notice a link that says 'Prayer Letter Sign Up Form.' I've been meaning to add this to the site for quite a while and only recently got around to it. Each month (give or take) I send out a prayer letter recording God's faithfulness and how you can be praying for me and the different ministries that I serve in. Recently I was appointed as a career missionary with Converge Worldwide and I would be grateful for your prayers! If you would like to keep up to date on where I am and what I am doing so that you can pray more specifically for me, I encourage you to sign up for my prayer letter! I use a website called Mail Chimp for this prayer update which means that it is very easy for you to subscribe to receive the e-mail, and also unsubscribe if you would so desire! Where in the World is Ian Smith?